I’ll start this article about the fastest fighter jet in the world by saying that this is about a fighter jet, not a jet, so we’re not taking spy planes into consideration. If we did talk about the fastest jet, then the SR-71 Blackbird from Lockheed would be it, with its top speed of Mach 3.3. 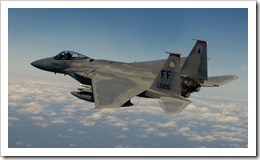 Since it’s a recon plane, the title of fastest fighter jet in the world doesn’t apply. 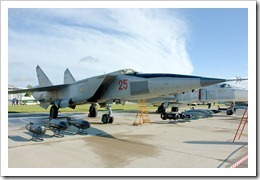 Instead, we’re looking at another plane, the Mig-25 Foxbat, which entered into service in 1970. The Mig-25 Foxbat is a recon plane and a supersonic interceptor, a fighter jet. The maximum speed during normal use is Mach 2.83, but speeds up to Mach 3.2 have been reported, though that will cause damage to the plane’s engines. A total of 1,190 Mig-25’s were built from 1970 to 1984. Quite a few former Soviet countries and allies of the Soviet Union got this plane and many are still flying it. Until this day, the Mig-25 remains the fastest fighter jet in the world, despite the fact that it’s been around for over 40 years now. The first prototype of this plane flew in 1964 though. The main countries that still use it as a fighter jet are Russia, Algeria, Syria and Turkmenistan. 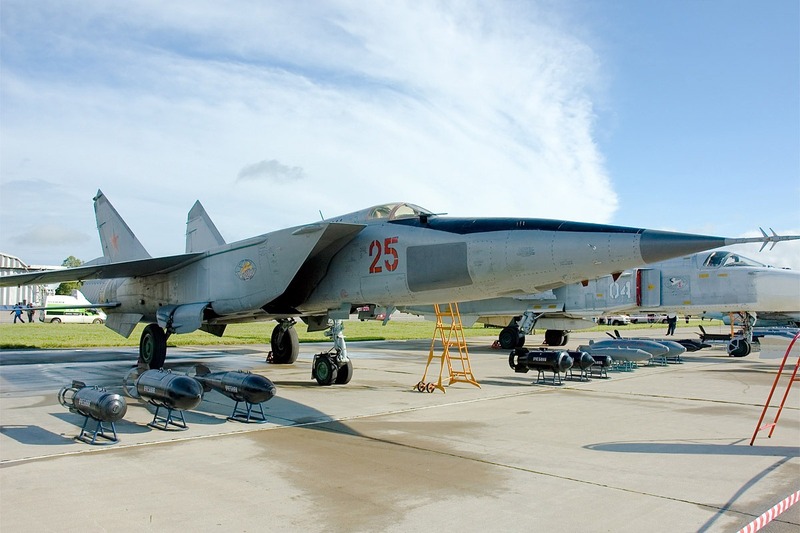 The second fastest fighter jet in the world is the Mig-31, the model that replaced the Mig-25 Foxbat. The production of the Mig-31 started in 1979 and the production continued until 2000, with 400 of them being produced during that time. This fast fighter jet has a maximum speed at high altitudes of Mach 2.83, but that’s only to make sure that the engine isn’t damaged. The ratio of thrust to drag allows for maximum speeds of over Mach 3 to be reached though. It needs quite a bit of fuel at maximum speed though, so sustaining it for long periods of time isn’t feasible. Now, if you’d rather know what is the fastest US fighter jet, then we’re looking at the models designed to be fighters first and bombers second. We should take fighter jets like the F-16 or the F-18 out of the equation, so we’re mostly looking at military jets like the F-22, the F-15 and the F-14. 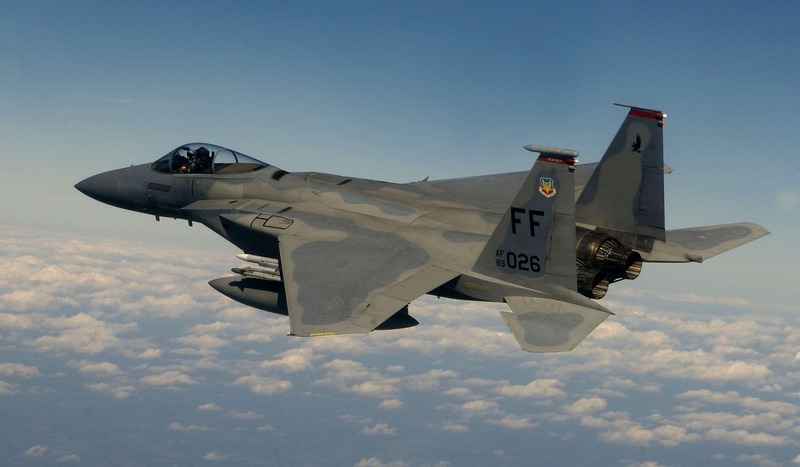 The one that seems to be the winner and the fastest American fighter jet is the F-15C, which reaches a top speed of over Mach 2.5 at high altitudes. The F-14D takes the second place, with a maximum speed of over Mach 2.34. Finally, the F-22 Raptor can reach a top speed of Mach 2.25 (I believe the actual numbers are classified, so this is the estimated number that I found). The fastest fighter jet in the world is Russian as you can see, and it’s a 40 year old model that’s on his way out.